I can save the Board some time. No need to search for non-resident students. I can assure you that no one is sending his or her child to PG County schools when there is an alternative – any alternative. I am already bracing myself for the day I have to send my own children there, and I have at least another three years to worry about it. The very, very essential character of our district has changed since Superintendent William Hite Jr has come on board. “Whereas there was a very collegial, collaborative relationship, now it has deteriorated to one of fear, intimidation. Obviously that’s not healthy for a public school setting. It’s time Hite started looking for anotherjob. As a teacher I can tell you that nepotism thrives in many schools like Buck Lodge Middle School (under James Richardson), where there are classes of 30-34 students and cronies with no teaching or other responsibilities, thrive. Richardson is a fraternity buddy of Hite! Suzy – Thank you for this information. We are trying to highlight and change these pratices. If we don’t act, nothing will move. We would appreciate if you could email us directly a detailed report on what this so called principal is doing at reformsasscer@gmail.com. We will be happy to publish the same. Hite is destroying PGCPS and it’s unacceptable. Information presented here has been verified through mutiple sources. It’s the whole truth! Let us make the necessary changes without much delay. The truth is the truth. This ‘freedom of expression’ is considered fundamental in allowing persons to express their thoughts on government and political issues, which is vital in promoting democratic ideals and enhancing social participation. Lust is a bad thing. Why is William Hite Jr looking at a married woman’s legs? One of the biggest struggles in life is that of sexual temptation. Married adminstrators should leave married women a lone. Superintendent William Hites is suspected of directing donations to some school board members in order to cover up and continue the status quo. What is going on in Prince George’s County? It seems there is just one scandal after another in the school system there. It sounds like there needs to be a complete housecleaning and a indepth investigation into the activities past, and present. Pingback: No Confidence vote. « pgcps mess – Reform Sasscer without delay. We need to put pressure on Dr. William Hite Jr to resign. The man is very corrupt and I am sharing this with you with hard facts. He should not be the superintendant of this county. The embezzlement which has been going on within the county under his watch is staggeringly high. Citizens of Prince George’s County deserve better! Wooow he was my high school principal at forestville nd dat is unbelievable!!!!! 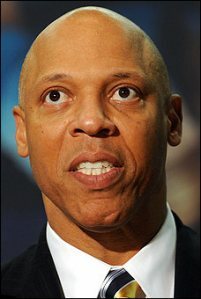 Smallwood was the worst and Dr. hite he jus be goin thru da motions.He should resign. I teach at Largo High School. I agree with everything in here. This situation is disgusting. We need help. If Dr. Hite can’t help, he should start looking for another job. Hiding the truth never helped anyone. Great Job! Revealing what’s going on behind the scenes and putting all the pieces of the puzzle together is so important and a big public service. Thanks. It’s amazing that these administrators make so much. All they are doing is administrating. Just keeping the hamster wheel turning. Not like a real business where you are out there, beating the bushes, trying to make things happen. Every day is make or break. Just ask any small business owner. We are disgusted by this sort of behavior. I’m commenting to let you understand what a beneficial experience my princess had reading through the blog. She came to find numerous things, with the inclusion of what it’s like to possess an ideal teaching nature to get most people with no trouble know specific tortuous subject matter. You truly surpassed people’s expectations. Many thanks for distributing the warm and friendly, trustworthy, educational and even cool tips on that topic to Ethel. Some of us have the evidence Dr. William Hite Jr has been hitting on some younger Principals without check. This behaviour is unbecoming of a Superintendent. Heya i am for the primary time here. I came across this board and I find It really useful & it helped me out a lot. I am hoping to give something again and aid others such as you aided me. Pingback: corruption fights back. « pgcps mess – Reform Sasscer without delay. Pingback: Discrimination & Racism in PGCPS. « pgcps mess – Reform Sasscer without delay. Hi just wanted to give you a quick heads up and let you know we appreciate reading the articles. Keep up the good work. Hi just thought I would certainly tell you something.. This is twice today I have landed on the blog in the last 2 weeks looking for completely unrelated things. Spooky or what? I like the blog. Keep the good work. Pingback: Thank you and Keep up the pressure! « pgcps mess – Reform Sasscer without delay. Pingback: Arrogant BOE Chair finally cornered with corruption. « pgcps mess – Reform Sasscer without delay. Pingback: Nefarious former PGCPS IT Director abandons family. « pgcps mess – Reform Sasscer without delay. Pingback: Prince George’s Schools Sued By Principals « pgcps mess – Reform Sasscer without delay. Pingback: Kudos to the MD General Assembly for reform efforts. | pgcps mess - Reform Sasscer without delay. Pingback: Police probe sexual encounter in PGCPS | pgcps mess - Reform Sasscer without delay. Pingback: Superintendent of Philly Sued again by Former Principal. | pgcps mess - Reform Sasscer without delay. Pingback: Normal Society & virtuous Foundation in PG County. | pgcps mess - Reform Sasscer without delay. Pingback: Oppose injustice and oppression in PG. | pgcps mess - Reform Sasscer without delay. Pingback: Teaching for change and deep learning. | pgcps mess - Reform Sasscer without delay. Your site needs to be up-dated. Some information is out-of-date. I have a lot more information about ASASP. Who do I contact? Here is our contact information reformsasscer@gmail.com – Thank you for getting involved. We need to change the entire school system for the better. Pingback: ASASP Lawsuit in Greenbelt Federal Court Dismissed. | pgcps mess - Reform Sasscer without delay. Pingback: Back to school: It’s worse than you think in Philly. | pgcps mess - Reform Sasscer without delay. Pingback: Prince George’s principals determine how to use funding. | pgcps mess - Reform Sasscer without delay. 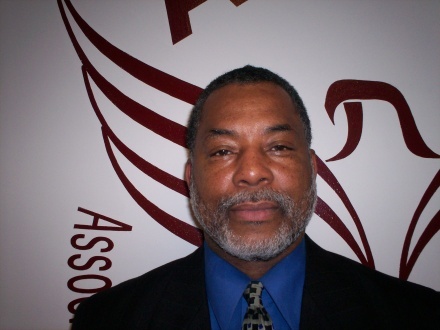 Pingback: Maryland parent arrested… | pgcps mess - Reform Sasscer without delay. Pingback: Let’s face it. Criticism has… | pgcps mess - Reform Sasscer without delay. Pingback: 8 Bad Mistakes New Managers Make | pgcps mess - Reform Sasscer without delay. Pingback: 8 Bad Mistakes New Managers Make. | Help Change The World. The Future Of The County Is Now. Pingback: Dr. William Hite Jr is at it again in Philly. | Help Change The World. The Future Of The County Is Now. Pingback: Dr. William Hite Jr is at it again in Philly. | pgcps mess - Reform Sasscer without delay. Pingback: Call your Elected Officials now and the Media. | pgcps mess - Reform Sasscer without delay. Pingback: Call your Elected Officials now and the Media. | Help Change The World. The Future Of The County Is Now. Pingback: Hite’s corruption. | pgcps mess - Reform Sasscer without delay. Pingback: A civil lawsuit filed by Dr. Ruth Johnson to start on August 5th, 2014. | pgcps mess - Reform Sasscer without delay. Pingback: A civil lawsuit filed by Dr. Ruth Johnson to start on August 5th, 2014. | Help Change The World. The Future Of The County Is Now. 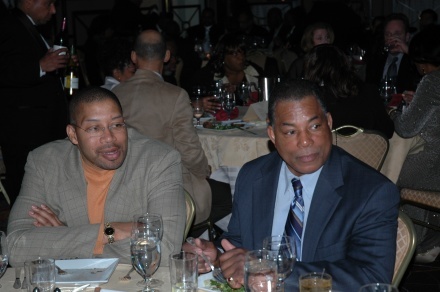 Pingback: Quid pro quo suit… | pgcps mess - Reform Sasscer without delay. Pingback: Quid pro quo suit… | Help Change The World. The Future Of The County Is Now. Pingback: Inequality: Rebuilding the Middle Class Requires Reviving Strong Unions. | pgcps mess - Reform Sasscer without delay. Pingback: Inequality: Rebuilding the Middle Class Requires Reviving Strong Unions. | Help Change The World. The Future Of The County Is Now. Pingback: Prince George’s BOE race is still deadlocked after absentee ballots counted. | pgcps mess - Reform Sasscer without delay. Pingback: Prince George’s BOE race is still deadlocked after absentee ballots counted. | Help Change The World. The Future Of The County Is Now. Pingback: Embezzlement and Excess of Corrupt Unions. | pgcps mess - Reform Sasscer without delay. Pingback: Embezzlement and Excess of Corrupt Unions. | Help Change The World. The Future Of The County Is Now. Pingback: Report Says County Has Fewest “highly-effective” teachers. | pgcps mess - Reform Sasscer without delay. Pingback: Report Says County Has Fewest “highly-effective” teachers. | Help Change The World. The Future Of The County Is Now. Pingback: Hernandez defeats Waller! | pgcps mess - Reform Sasscer without delay. Pingback: Hernandez defeats Waller! | Help Change The World. The Future Of The County Is Now. Pingback: Welcome 2015! | pgcps mess - Reform Sasscer without delay. Pingback: Welcome 2015! | Help Change The World. The Future Of The County Is Now. Pingback: Video Shows School Security Guard Pushing Student to Floor. | Help Change The World. The Future Of The County Is Now. Pingback: Video Shows School Security Guard Pushing Student to Floor. | pgcps mess - Reform Sasscer without delay. Pingback: School officials to investigate response to fight at Laurel High | Help Change The World. The Future Of The County Is Now. Pingback: School officials to investigate response to fight at Laurel High | pgcps mess - Reform Sasscer without delay. Pingback: PGCPS Task Force Tackles Student Safety and leaves Question marks | pgcps mess - Reform Sasscer without delay. Pingback: PGCPS Task Force Tackles Student Safety and leaves Question marks | Help Change The World. The Future Of The County Is Now. Pingback: Lawsuit claims teachers failed to report abuse as 23 kids sexually violated | pgcps mess - Reform Sasscer without delay. Pingback: ‘They Were Crying’: Laurel High School Shows Teachers Graphic ‘Columbine’ Video in Lockdown Training | Help Change The World. The Future Of The County Is Now. Pingback: ‘They Were Crying’: Laurel High School Shows Teachers Graphic ‘Columbine’ Video in Lockdown Training | pgcps mess - Reform Sasscer without delay. Pingback: Extramarital Affair In Laurel High School a cause for concern for the community. | Help Change The World. The Future Of The County Is Now. Pingback: Extramarital Affair In Laurel High School a cause for concern for the community. | pgcps mess - Reform Sasscer without delay. Pingback: Heavy scandal as PGCPS track coach is arrested for ‘extraordinarily inappropriate’ relationship | pgcps mess - Reform Sasscer without delay. Pingback: Heavy scandal as PGCPS track coach is arrested for ‘extraordinarily inappropriate’ relationship | Help Change The World. The Future Of The County Is Now.